We are located on the main migratory route of hundreds of species of birds, making spring and fall excellent birding seasons. But birding is really a year-round activity here. "Winter finches" such as Pine Siskins and White and Red-winged Crossbills, as well as other varieties stay to feed and court in below zero weather. 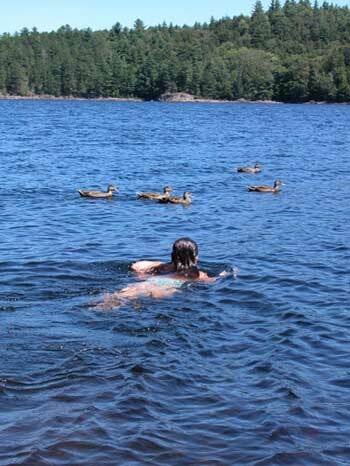 Loons and Golden Eagles are seen regularly right from the porches and decks of the cabins. Bald eagles are making a comeback in the region. The area is rich in bogs, boreal forests and habitat for predators and waterfowl. Check out www.adirondackexperience.com/recreation/birding for a more complete listing of the dozens and dozens of warblers, finches, boreal birds and other common species seen here. In June, the popular Adirondack Birding Festival provides a wealth of opportunity and events at the peak of birding season.